Journaling is one of the most important aspects of scrapbooking. It brings life to your pages. It tells a story that others couldn’t get from a photo alone. It adds your own insight and opinions to the page. It allows you, as a writer, to open up and invite readers into your heart. 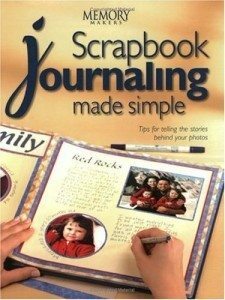 Many scrapbookers avoid journaling altogether. Others just can’t seem to find the right words or way to say things. Still others think their handwriting isn’t nice enough. Following are all the best scrapbook journaling tips I could find. Hopefully, they will serve as encouragement and motivation to start journaling more on your scrapbook pages. Most of all, I hope that these tips will make writing on your pages easier than ever. Give it a title. 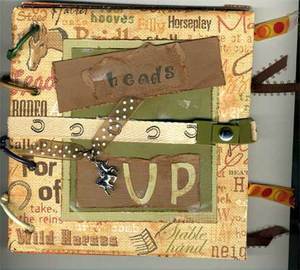 Finding a title for your scrapbook page is a good way to start the journaling on your page. A page title makes it easier to center your page and journaling around a phrase and style that you want to convey. Start small. Not every picture has to have a full page description. Keep it short and sweet. Begin with a few short sentences to get comfortable with journaling. Just be yourself. When scrapbook journaling, remember to be yourself. You don’t have to sound funny, cool, or super intelligent — just sound like you! You don’t have use the best grammar and punctuation either. As long as your journaling is in your own words, then you’re being true to yourself and 100% authentic. Cover the basics. Never have the 5 W’s (who, what, where, when, and why) been more important than in scrapbook journaling. Who is in this photo? What is going on? Where was this picture taken? When was it taken? Why is this photo important to you? Ask deeper questions. This is a great way to get the ball (or should I say pen) rolling. Try looking at the photo and just ask yourself questions — everything from “What was the best part?” to “Did anything funny happen?” Asking yourself questions about what you see in the photo will provide many options and give you lots to write about. Find poems & quotes. These can add a special touch to your scrapbook pages — especially when they’re set off to the side — like in the margin, as the page title, or partially overlapping a photo. You can find quotations online and in books. Or, write your own poetry for scrapbook pages. Appeal to the senses. By appealing to the reader’s senses, they will better connect to your own experience (or that of the person in the photo). Use descriptive words to describe the sights, smells, sounds, taste, and touch/feelings that were being experienced in the photo. Forget about chronological order. This is one of the biggest stumbling blocks to creating scrapbook pages. People get so caught up in thinking that pages have to be done “in order” when they don’t. The same is true with journaling. It’s okay to break the rules sometimes and do things out of order. Just go with the flow. It’s much more fun… and easier! Frame your photos. To add interest to your scrapbook, jot words around your pictures. By framing your photos with words and thoughts, your pages take on a unique look. Words become embellishments. Be specific. If you’re doing a scrapbook page on someone special, include specific details about why that person is so special to you. These examples of “30 Things I Love About…” might help. Think outside the box. For example, use phrases or words (instead of complete sentences), use quotes or he said / she said dialogue, use step-by-step procedures to describe how something was done, or use Q&A or recipe styles for your journaling on occasion. Keep an idea notebook. You never know when something might catch your eye (or your ear) that would be perfect for one of your scrapbook pages! By keeping a simple notebook and pen handy at all times, you’ll be able to jot down all of those great ideas you get when you’re in the middle of something else, or you’re out & about. Use helpful tools. The dictionary and thesaurus can be your best friends when journaling. A dictionary is great for giving a more definite, yet meaningful description of something. A thesaurus is good for finding other similar words. Make lists. The best part about using lists when journaling is you don’t have to worry about writing long, detailed sentences or even making sense. Bonus: your list can even be created on colorful papers and become the focal point for your page (…which is especially helpful if you don’t have any photos for a particular layout). ABC lists are popular, as are top 10 lists and lists of random fun facts. Log each photo. Whenever you upload your digital photos to your computer, use Tags, Captions and Notes to record important details about the photo — such as the date, the occasion, who was there, and any other special memories. This will come in handy later, when you’re ready to place the photo on a scrapbook page. Don’t rely on your memory to remember all of those unique details! Incorporate greeting cards. Using bits & pieces from the greeting cards you’ve received for any occasion is a fun way to add a creative touch to a scrapbook page. Collect all your cards, scan the messages that people wrote in them (and/or some of the images from the fronts of the cards), and include those on your scrapbook page. Write from your heart. This is the best way to get over a fear of writing. Not only are your words coming from your heart, but this gives you confidence as a writer because you are writing what you know! You’re just being you. Look for creative phrases & ideas. 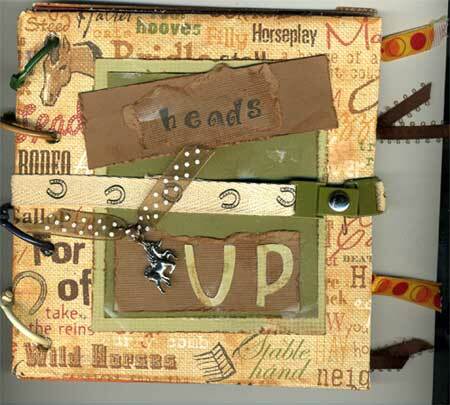 You can find creative phrases and ideas to incorporate into your scrapbook pages in magazines, newspapers, newsletters, brochures, and other scrapbooking websites. Song lyrics are another great place to find fun phrases! And everyone knows that kids say the darnedest things, so be on the lookout for fun phrases coming from the mouths of babes. Try different writing styles. Using different writing styles when journaling about different events or occasions brings a unique perspective to things. For example, on sports events — write your own newspaper story, file a report about how something was broken, or try writing a review for a school play. Use heartfelt journaling. Heartfelt journaling is more about the feelings than the facts. This is a perfect way to connect to your readers and pass your thoughts down to future generations. Begin by freestyle writing all of your emotions, feelings, and thoughts about the subject on scrap paper. Then, go back and edit from there before adding the final version to your scrapbook page. Write a letter. Start your letter with “Dear…” and include the details of the photo in your letter. This helps your writing flow more easily and makes it a cinch to tell the story in your own words. Create a comparison chart. This is fun, easy and creative. All you have to do is decide who (or what) you want to compare, choose your categories, and then create a fun chart! Make a fairy tale. You know how it goes… “Once upon a time.” Fairy tale journal pages are a great idea for weddings, engagements, baby books, and of course — love! Use die cuts. Make your journaling more noticeable by using paper shapes that relate to the topic of the page. For example, if you’re doing a page about a sport, use a die cut of some symbol from that sport to journal onto. Or, use a diecut to trace that shape onto your page, and then write your journaling within that shape. They also make journaling templates for this purpose. By writing within a unique shape or space, you can squeeze just the bare necessities into a limited space. Fill with fragments. A fragment is an incomplete sentence, so don’t worry about using proper introductions, sentence transitions, or the flow of your paragraphs. Instead, just write one big long paragraph that’s full of fragments! Not only is it different, but it also saves you time and space. Organize, organize, organize. Your ability to organize all of your journaling ideas is the key to successful scrapbook journaling. So, take a few days to collect all of your journaling ideas, page themes, phrases, and titles and transfer them to your computer. That way, it’s all together (in files and folders on your computer), easy to find (you can search within documents and files), and saved forever (you can even keep backups)! Describe your life. Brainstorm all of the things you do on a daily basis. You can make your list include random things, or it could be your step-by-step daily routine. Include things you say, eat, hear, and do. Then, write (or print) your list and place it on your scrapbook page. Try computer journaling. Experiment with different fonts and text sizes on your computer. Then print it out and add it to your scrapbook page. Sometimes, affix one or more different papers behind your computer journaling to create a matte. One of the best parts about computer journaling is that you have a spell checker at all times. Have someone else write it. For example, if you are making a tribute page or an entire scrapbook for someone special, get the person’s friends and family involved. Ask them to each write down something about that person. Then include those tidbits on scrapbook pages about that person. It’s the perfect way to show the person how important they are to everyone, and they do all the journaling for you! Add color. For an extra pop on your scrapbook pages, use different colors of ink at times. However, remember it must still be easy to read. Write conversationally. Write as you would if you were speaking to the person in the photo, or to a friend and you’re describing what’s in the photo. This makes your journaling more realistic and meaningful. Use the word “I” more often to add your own perspective. Incorporate actual conversations. By jotting down the main points that you’ve overheard others using in everyday conversation (like kids chatting amongst themselves) your journaling will be unique, memorable, and funny as well. Keep it real. Less is more. If you don’t have much to say about the photo or page, then don’t say much. Don’t try to write a lot of stuff to take up space, just let the page or photo speak for itself. Tell a story. If there’s a lot to say about a certain person, photo, or event, then tell the whole story in your journaling! Include all those small details that will help make your writings more interesting to readers. You won’t want too many of these text-heavy pages in your scrapbooks, but a few pages like this are nice touch. If you can’t come up with the words, let someone else the story in their own words. Make journaling the last step. By dividing up your scrapbook pages into 2 separate tasks (laying out the page, and journaling the page), you will get your pages done faster and easier. So, don’t think you have to have all of the journaling ready on the same day you’re creating your page. For some people, the journaling comes days, weeks, or even months later! That’s right, the actual journaling can be an entirely separate step that’s done at your convenience. This makes it easier to focus on getting one thing done at a time. Use your other resources. Your personal blogs, Facebook updates, and Twitter posts can be a great resource for journaling material! Those sites keep a record of how you felt about something, what you were doing when, as well as interesting things that others added about the topic at hand. These are all things that you may want to incorporate into your scrapbook journaling. Create a heritage album. This is a great way to preserve your family’s history. Be sure to include names, dates, details, interesting facts, and maybe even family superstitions regarding your family’s past. Here are examples and ideas for a heritage scrapbook. Pre-write first. Pre-writing is the act of planning for what you will eventually write. It’s a good way to collect and organize your information, which will save you time later. Use a pencil first. When adding your own handwriting to scrapbook pages, write lightly in pencil first. That way, if you mess up, you can always go back and fix it. Plus, you can see just how much space your journaling will take up. After everything is the way you like it, go over your writing in pen. After the ink completely dries, go back and erase any pencil marks or lines. Try hidden journaling. If you decide to use your own handwriting on your pages, but don’t want people to see your handwriting, hide it! Use things like pocket pages, folded cards, matchbooks, tags, and more to put your journaling in or behind. That way, only the people who really want to read more about the page can. Here’s a slideshow of 25 ways to hide your journaling!